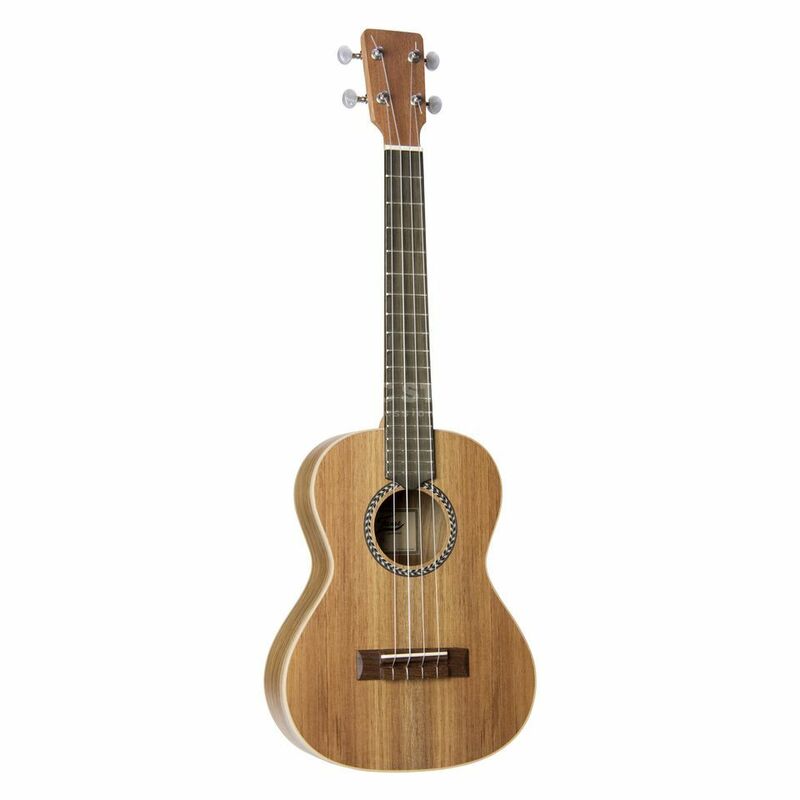 The Fame Ukulele Tenor is handmade in Portugal by experienced guitar makers exclusively from solid, Portuguese Koa. Finished by hand and the spectacular grain gives each instrument an individual character. Portugal is the birthplace of the ukulele, it was Portuguese explorers and sailors who brought the first of these instruments to the islands of Hawaii. The tenor ukulele is especially popular with solo artists. Traditionally the tenor ukulele is tuned to the key of A, but just like with the soprano ukulele, the most common tuning tends to be g-c-e-a. However mostly on the lower G string, so that the actual playable solo tonal-range is expanded. Ok, sound is not a fantastic, but it is very very good, close to fantastic really) It builds great, it looks expensive, it is easy to play. I love it.